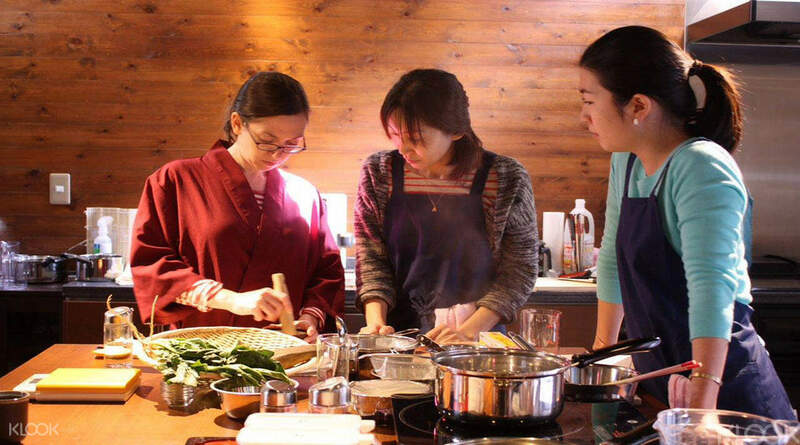 For another unique Japanese cooking class in the afternoon, try out our Kappa cooking course too! interesting and fun experience. had a nice break from the sight-seeing for a mother-daughter bonding time! Ever wondered how Japanese chefs manage to pack so many interesting flavors into the tiny treats in a bento box? Come along to a traditional cooking class to learn the tricks of the trade from expert local chefs. The sessions provide a fun and interactive environment for learning about the preparation of sushi, sesame salads and many other specialities. Your teachers will also offer you an insight into the historical background of 'Bento', and you'll be able to dress in sumae (the traditional dress of a working buddhist monk) to complete your cultural experience. After you've spent the morning perfecting your cooking skills, you'll feast upon your mini creations as you get to know the fellow chefs on your course. It's a fun filled morning of cultural discovery - foodies, don't miss out! Really fun & enjoyable morning spent making a bento! This was one of the best ways for us to understand and be immersed in the Japanese culture. Instructors were fully fluent in English and were very keen to answer any questions we had. Thank you Cooking Sun for the great experience! Really fun & enjoyable morning spent making a bento! This was one of the best ways for us to understand and be immersed in the Japanese culture. Instructors were fully fluent in English and were very keen to answer any questions we had. Thank you Cooking Sun for the great experience! I have two teacher today. Tomoko’s English is as good as a native speaker, but she only stayed in US for 2 years! Toshiko has stayed in Beijin for 20 years. She speaks Mandarin in Japanese grammar, very cute. I have two teacher today. Tomoko’s English is as good as a native speaker, but she only stayed in US for 2 years! Toshiko has stayed in Beijin for 20 years. She speaks Mandarin in Japanese grammar, very cute. Very good experiences to learn authentic Japanese food. Teacher are nice and helpful . Even I don't have experience to cook Japanese food before, I completed all the dishes with theirs help. Wanna join for another class in the future. Very good experiences to learn authentic Japanese food. Teacher are nice and helpful . Even I don't have experience to cook Japanese food before, I completed all the dishes with theirs help. Wanna join for another class in the future. It was a great experience. The chefs are friendly and knowledgeable. I liked the dishes that they included in the lessons. It's always good to learn new cooking techniques. It was a great experience. The chefs are friendly and knowledgeable. I liked the dishes that they included in the lessons. It's always good to learn new cooking techniques. We are a family of four with two boys (10yrs and 13yrs) who enjoy cooking and have been lucky enough to experience cooking in Vietnam - an amazing benchmark! And cooking sun did not disappoint. The chefs were great at explaining and demonstrating the dishes. They were really supportive of our boys in the class. The bento box we made was delicious: spinach salad, sushi, teriyaki chicken, tempura. Both boys were easily able to prepare and cook, with the youngest just needing some help with the knife work and hot oil for deep frying. Overall a great experience and fun for the family. I thoroughly recommend. We are a family of four with two boys (10yrs and 13yrs) who enjoy cooking and have been lucky enough to experience cooking in Vietnam - an amazing benchmark! And cooking sun did not disappoint. The chefs were great at explaining and demonstrating the dishes. They were really supportive of our boys in the class. The bento box we made was delicious: spinach salad, sushi, teriyaki chicken, tempura. Both boys were easily able to prepare and cook, with the youngest just needing some help with the knife work and hot oil for deep frying. Overall a great experience and fun for the family. I thoroughly recommend. Lecture is very nice & patient to teach us lesson. environment is great & material to prepare food is fresh. however it will be better if Lecture can teach us some others dishes or some special skill. (example, how to made bento cute or carton looks). as a conclusion, i would prefer friends to participate on this bento class as it is a great experience to learn about japan culture and spend a great time. Lecture is very nice & patient to teach us lesson. environment is great & material to prepare food is fresh. however it will be better if Lecture can teach us some others dishes or some special skill. 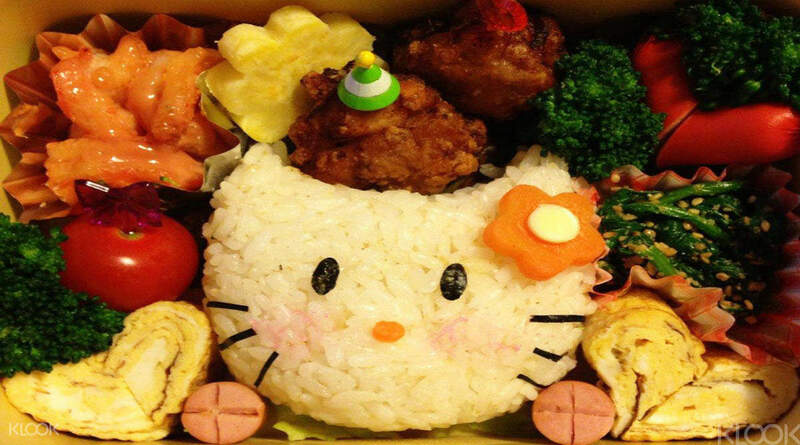 (example, how to made bento cute or carton looks). as a conclusion, i would prefer friends to participate on this bento class as it is a great experience to learn about japan culture and spend a great time. Coco San is a great teacher and very friendly as well, she gave us many valuable tips as well. Please kindly check your maps, seems like the direction given is not very accurate according to one other classmate. Thank you. Coco San is a great teacher and very friendly as well, she gave us many valuable tips as well. Please kindly check your maps, seems like the direction given is not very accurate according to one other classmate. Thank you. Very nice spoken English with detailed explanation on how to cook the signature Japanese dishes! Ingredients are quite simple and can be commonly found in local supermarkets! Friendly staff who can speak English and Mandarin to guide you through. Really worth a session - enjoyable morning with bunch of people from all over the world!! Thanks cooking sun for making my Kyoto stay more remarkable!! Very nice spoken English with detailed explanation on how to cook the signature Japanese dishes! Ingredients are quite simple and can be commonly found in local supermarkets! Friendly staff who can speak English and Mandarin to guide you through. Really worth a session - enjoyable morning with bunch of people from all over the world!! Thanks cooking sun for making my Kyoto stay more remarkable!! Communication was not a problem as the instructors could speak really good English. They were really knowledgable and gave many tips! Also the demonstrations were clear and easy to follow. Most importantly, the food we made were really delicious! Communication was not a problem as the instructors could speak really good English. They were really knowledgable and gave many tips! Also the demonstrations were clear and easy to follow. Most importantly, the food we made were really delicious! 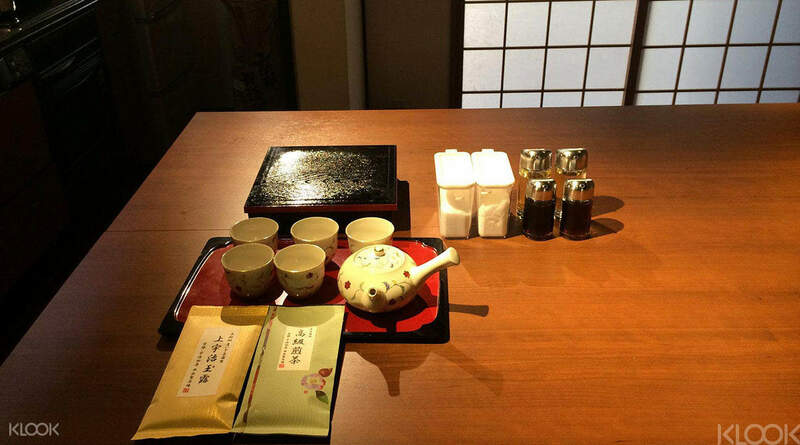 A very special experience in cooking traditional dishes and preparing lunch boxes in Kyoto. The teachings (in English) and demonstrations were clear and easy to follow. We have learnt quite a few useful tricks in making delicious Tempura, Dashi, egg rolls and sushi by ourselves. Overall speaking, a highly recommended activity in Kyoto! 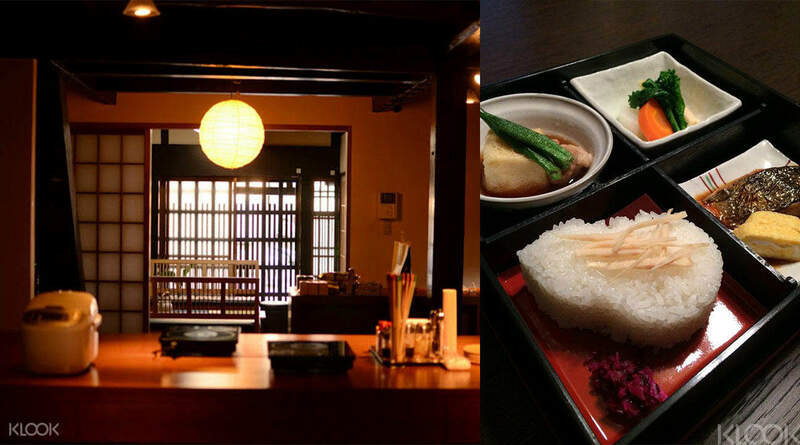 A very special experience in cooking traditional dishes and preparing lunch boxes in Kyoto. The teachings (in English) and demonstrations were clear and easy to follow. We have learnt quite a few useful tricks in making delicious Tempura, Dashi, egg rolls and sushi by ourselves. Overall speaking, a highly recommended activity in Kyoto!